While the GST is all set to roll out from July 1, our small and medium enterprises (SMEs) are on tenterhooks: how the new tax regime would impact the sector? There have been talks that GST will usher a revolutionary change in the country's taxation system, bringing in transparency, eliminating hidden costs and improving ease of doing business. From an SME perspective also, the new levy is expected to bring in many positives. When all is said and done, a blind eye should be turned to the fact that this transition may be painful, particularly for the SMEs, and it will mostly depend on the Government how it ensures a smooth landing of GST. So, what are the expected benefits? First, there will be less compliance requirements and lower procedural fees both to start and run a business. It will be easier for SMEs â which earlier limited their customers within the state they located due to burden of tax on interstate sales â to expand their operations in different states. Additionally, the time-consuming border tax procedures will be eliminated and logistical costs will come down. Also, as GST taxes 'stock transfers', SMEs will now have parity with big players that now escape paying taxes on inter-state transfer and movement. Overall, ease of doing business for the sector should get a big boost under the new tax regime. Alongside benefits, there are several concerns too. Under the current system, SME manufacturers with total turnover not exceeding Rs 1.5 crore do not require to pay any excise duty, but now under the GST umbrella this exemption limit would get significantly lowered. Experts also point out that firms registered in multiple states will now have to file as many as 37 returns annually. Besides, cost of compliance will also rise as they have to go for electronic compliance system. Another concern raised is that GST may impact SMEs' working capital requirements due to tax on self-supplies. The government should be considerate of these issues. The Centre has promised leniency during the initial period of GST implementation. This is a welcome announcement. Preparing for the new tax regime has remained an uphill task for our SMEs. They are not much informed about the GST, lack adequate infrastructure and most importantly, there is still lack of clarity on the new law . Recently, a RS member viewed that the sector should be provided with a buffer period of six months during which it could prepare for the new tax regime while the Government, after discussing with different sectoral SME associations, could tweak the rules to facilitate a smooth GST transition. This proposal deserves serious consideration. I have got very useful Information about GST Plz Explain More about this for Cotton Bales Manufacturers. SME manufacturers with total turnover not exceeding Rs 1.5 crore do not require to pay any excise duty, but now under the GST umbrella this exemption limit would get significantly lowered. Experts also point out that firms registered in multiple states will now have to file as many as 37 returns annually. Excise is subsumed under GST. So only pay GST. Check for rates on your product on www.cbec.gov.in Manufacturers can also pt for Composite scheme if turnover below 75 lakhs. Then only 4 quaterly returns per state. Otherwise 12 returns per year. One has to file only supply/ sale details. Purchase details shall automatically show as your supplier is going to file his sale. First of all GST increase inflation rate in the all over sector . Second, GST system is not to run smoothly within 5 years. Our corrupt people are searching loopholes under the rules of GST for corruption. Almost all industries run on benefits of this criteria .I believe if government will not change tax benefit limits , all micro industries will die, unemployment will be higher, because India has maximum private employment and depends on micro industries. I strongly think the government needs to give, spread, share, educate the SME's very clearly on what needs to be followed and maybe with a check-list and fact-sheet to manage the changes. The SME's have a high chance to get exploited by both government officials and CA's because they will hugely depend on them. In the time during demonetization, the cities were still well equipped to educate and assist citizens, however in smaller towns and villages the bank officials either exploited the lack of knowledge a citizen has, or were not adequately updated themselves resulting in a lot of chaos and loss of money for the poor. The government is rightly trying to increase governance over government, procedures and online updates over people and manual procedures; but it needs to reach to the people as directly as it can. With every citizen having access to know what needs to be done and how it needs to be done. At the same time the government officials too need to follow just what is available on the government websites as information to citizens. A lot of processes informed on government websites are just impossible to follow due to lack of cooperation for officials in government offices, who either need to be bribed or influential contacts used to complete work in time. Previously one had to generate a road permit based upon the bill for the purchases. Present system to continue till Govt. introduces new e-way bill. There is a great need of a cheaper software for inventory and account management for SMEs, particularly smaller units. Something done in this direction may help small factory owners a lot. Some products are taxed at 5% now while they suffered 12.5% ED and 2%CST or 5% VAT,as may be applicable.As for SMEs, the ED was not applicable and hence,they would have an edge over the Corporates because of the ED. Now that the rate of 5% or any other rates uniformly for Corporates and SMEs,how can the SMEs compete with the bulk producing Corporates?Won't they keep the SMEs at bay by virtue of their(corporates') bulk production and sales?What is the remedy for this malady? The time has come; SMEs to get in to wind up mode. The GST compliance procedures and costs are so complex that one can get tripped even with all eyes glued to the ground. In the sales tax regime and so in excise regime the businesses knew that hidden costs may spring up any time, so they made provisions by working the system to generate the contingency funds. In VAT it seemed that the hidden costs would not appear, but they did appear whenever your supplier goofed up in uploading your data and you were made to pay up multiple times including interest, penalties and all. The only benefit of GST may be that the surprises will appear within 2/3 months instead of 3/4 years, so the interest penalties will not balloon. The threats issued by Finance Minister regarding benefits of set offs to be passed on to the public at large are strange, since the benefits look mostly illusive till they really accrue. So how one should be working out cost benefits to be passed on to the consumer. Many SMEs who had excise exemptions will now be paying a component of excise which is subsumed. The strain on their working capital for paying most frequent slab of 18 % GST every month will be substantial. What hand holding can we expect from GST which is so rigid and system driven that manual intervention can only be construed as vitiating the scheme. The nation which is yet to absorb the tribals in to the mainstream economy of the country is building the GST castle in the air. Good Luck beloved India. SMEs were exempt from excise duty up to 150L annual turnover (For both Intra state and/or inter state). As such, GST also may be exempted (irrespective of Inter or Intra Sales). SMEs are doing good service to the nation; hen laying golden eggs must not be killed. Warm regards. What about closing stocks we are having as on 30th June 2017. Dear sirs, Small Engineering manufacturers up to annual turnover of 1.5 Cr was exempt from excise duty. For other states supply they were paying only 2% CST. Present proposal of 18% GST will be too harsh on them. GST Composition Scheme (1% up to 75L) does not include other states (inter-state). We request that other states supply also is included in this scheme. Manufacturers who supplies to other states are also no less important and should get equal benefits. Moreover,as excise duty exemption was up to 1.5Cr, composition scheme also should be up to same limits - at least 1Cr annual turnover. In nutshell: excise duty exemption was up to 1.5 Cr. Only 2% CST was there for interstate sales. So, interstate sales also should be included in composition scheme (or another scheme). And the limit is requested to be increased. Thanks and best regards. My point is clear that at least 6months will take to understand for ordinary SME owner. Government should give a sympathetic look for 1st year. No case should be registered during this period instead warning and advisory be given to SME if any noncompliance noticed. SME used to get a 1.5 Crore exemption of turnover under the C.Excise rules which made small scale industry more competitive with large scale industry manufacturing similar products.We expected a upward relaxation in the limit to at least 5 crore in the last budget. 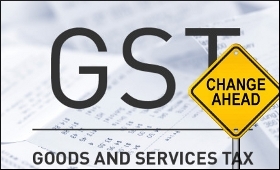 Now with the GST the competition from large scale industry will be very high for small scale industry and survival will be a great concern Some protection for small scale industry must be provided for protection form large scale competitors. Small scale industry is one of the largest employers in the country. We all used to comment on the multiple taxes, and multiple Tax rates in India. Today people are simply making a fuss. Let us all support the move. changes and improvements can be made. We all need facilities similar to that in Developed Countries, but we do not want to pay Taxes like them. Only a small percentage of Indian pay correct Taxes. Will the existing system of various Forms be discontinued under GST? There will be heavy blockage of Working Capital due to which survival of MSME would be at stake. Exports would also be affected. Banks are not considerate at all with the working capital for the MSME. Only if Banks/Govt supports working capital, would there be a survival of the MSME. We are told that every item in the trading and profit account statement would invite GST except salaries and wages. In case of subject industry wages are paid on piece rate basis through out the country. The weavers are not therefore employees as work mostly when farming does not require their presence in the village. However we are told that 18% service tax would have to be paid on the piece rate charges paid to workers.Already in this industry labour cost is almost 9.5% of selling price. A levy of 18% on this would be too high even though it would be offset.Including 5% GST on yarn a situation would be created in which offset amount per year would work out higher that GST of 5% on cloth. To get refund from Govt. year after year would be a big problem in such case.Weaving is the largest employer even within textiles and is largely rural based. Majority FMCG distribution works on cash business with bill due to average purchase of customer above 2 lac early will pay by cheque which take a credit of 7 days where margin are low industry will suffer cash crunch and liquidity to run business. I am a trader and have inventory of 2 Lakhs for which ED and CST are paid. Now industry is not willing to buy new material as they may not get input Tax credit. How do I sell my inventory post GST. The serious lack of percolation of the nuances of GST to the intermediaries like Traders and Agents is a big cause of concern. There has several rounds of misinformation, fear and incorrect opinions circulated in their respective circles. SME Manufacturers and marketers who depend on the vital middle layer of traders ( distributors, stockists, retailers) are sandwiched. In the months of May and June 2017 there is an evident drop in the manufacturing output and sale across sectors. Main stream entertainment and television news channels, news papers etc have done little to reach out the last mile in clarifying the frequently asked questions. In a span of 6 months the SME sector has been whipped with two mega initiatives. first the demonetization and now the GST transition. It is going to leave a very deep scar on the SME sector for at least 1 year. Only those who have the muscle to meet the fixed costs committed like salaries and rent in this transition period can survive. It would take at least 3 calendar months for normalcy to resume. To tide over the likely financial crisis to be faced by SME's, it also must be made mandatory for all Govt., Semi-Govt., State controlled Corporations to make payments of contractors latest within 45 days from the date of effecting supplies. This single stipulation and strict implementation will remove many ills from the system and make Government Plans successful including timely and quality completion of the Government/Departmental projects. Contractors are made to suffer on this front for some reason or the other, better not to mention on this forum, and Government expects business community to abide by all the rules & regulations are 2 different directions. System needs an overhaul from the grass root level alongside which people sitting in the Centre fail to envisage that such delays leaves businessmen with multiple failures and penalties leading to NPA's, Tax irregularities etc.etc and all natural fall outs. 'Charity begins at Home' and Government must understand this fact instead of turning a blind eye to the menace. Babus in the Government are much better placed than entrepreneurs. 'Make in India' initiative is in no way for SME sector. GST, no doubt, is an IDEAL theme BUT Ideal conditions must be enforced first by Government. It has been listened that the supplier, transporter & buyer invoices will be related & if all three invoices will not telly, transaction is not considered to be completed. Can you clear this matter. I am the proprietor of an SME. Our manufacturing unit is based in West Bengal. We sell our products in West Bengal but also have buyers from other states. Buyers from other states make payments directly into our bank account and we despatch the materials against road challans, or through courier. We do not have any outlets in other states. Our turnover is more than 20 lakhs but less than 75 lakhs. Would we be eligible to avail of the Composite Scheme under GST? I am proprietor of a manufacturing unit in Bihar and my turnover is Rs 75 lakh and I sale my product within Bihar and send outside of Bihar also may I come under composite scheme or not why.